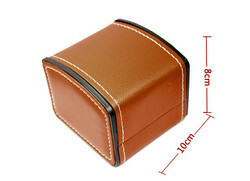 Made of leather, this brown watch case has 6 compartments that hold 6 watches. 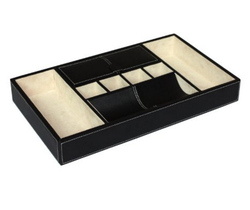 It can accommodate both men's and women's watches and is perfect for your entire family. The soft cushions along with the lid lock, keep your watches safe while its embossed printed finish make it a smart addition to your wardrobe. 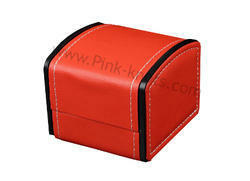 If you love your watches then this spacious watch box from Pink Knots is an ideal choice for you. The material also includes Leatherette. 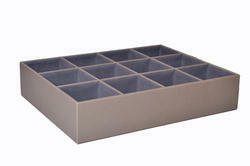 This Leatherette Drawer is used in Hotels and Offices. Made of Rexine and can be provided in any colour. This Box is used in Hotels and Offices. Made of Rexine and can be provided in any color.